With its cobblestone streets, pristine beaches, and incredible culinary scene, it’s no surprise that Charleston, SC, tops Travel and Leisure’s list of “America’s 50 Most Romantic Cities.” Make planning your next romantic Charleston getaway as simple as falling in love when you take advantage of our artfully crafted Romance Package. 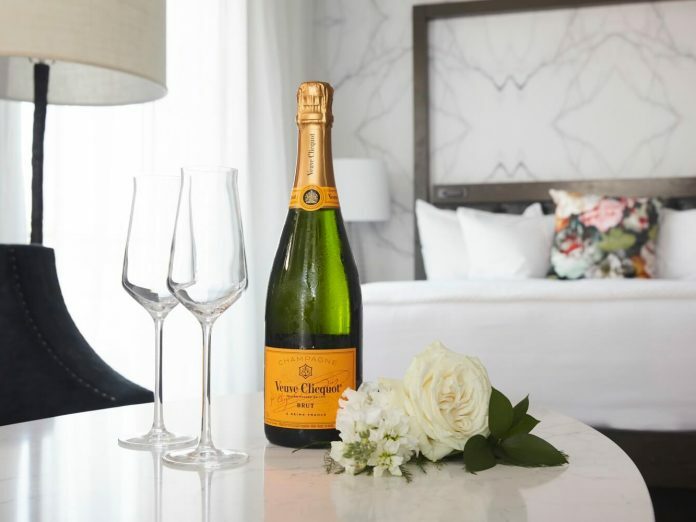 Featuring a bottle of Veuve Cliquot upon check-in, a bouquet of flowers in your room, a complimentary mimosa breakfast in the historic Delaney House, and a 2 p.m. late checkout, our Romance Package captures the charm of the Holy City and places it right in the palm of your hand! Experience the best getaway with your loved one at our Charleston boutique hotel. Experience the magic of Charleston for yourself by booking a stay today! To add this package to your stay, please select Deals & Packages when booking your romantic getaway in Charleston.